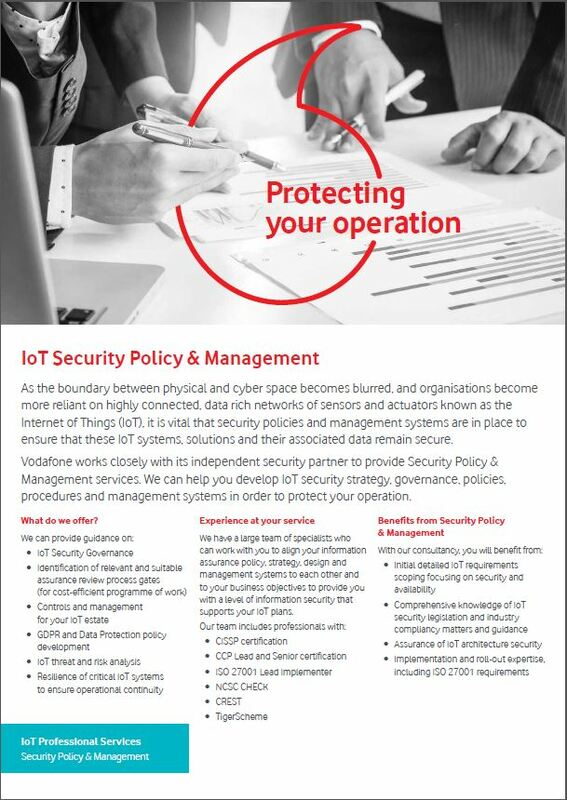 Security, quite rightly, can be a concern to many of our customers rolling out an IoT strategy. 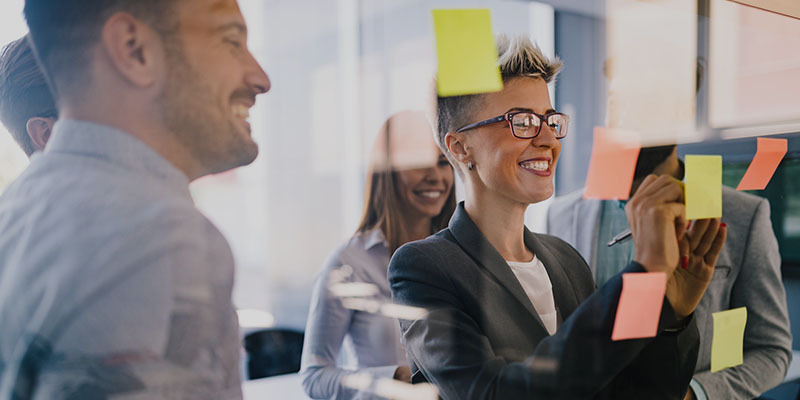 Although it might not be the first consideration when implementing an IoT solution, it soon becomes a key aspect of ensuring the protection of data. 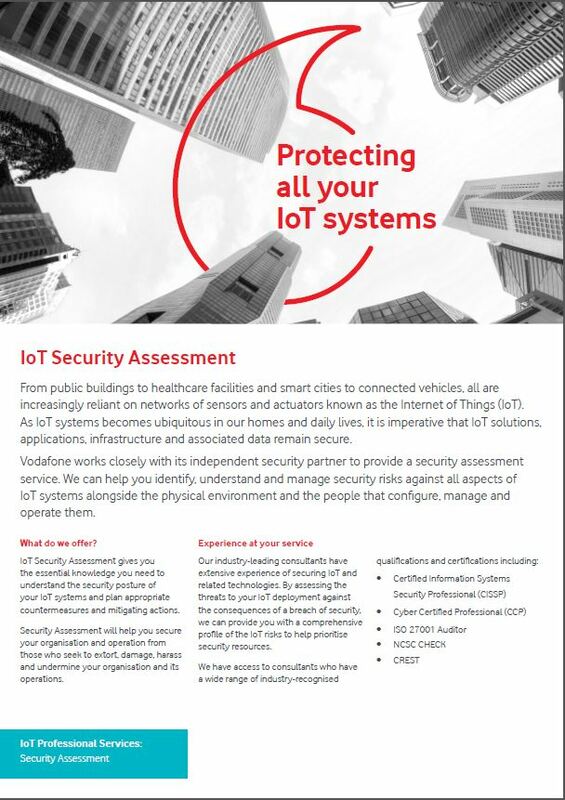 Whilst some of our customers are comfortable creating that security themselves, many seek additional support and to address this, Vodafone will now be offering four additional security services to our customers. 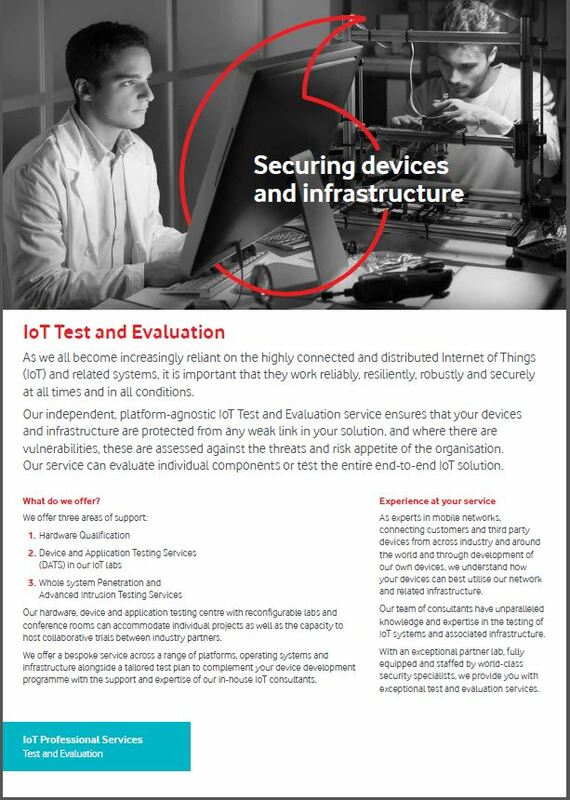 Vodafone has partnered with QinetiQ to complement our security services and provide organisations with a framework of four end-to-end IoT security services. 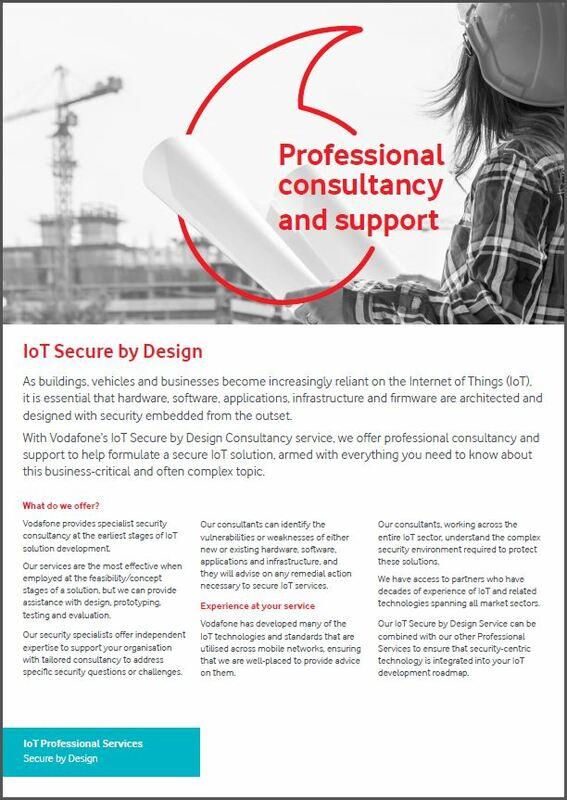 Why choose IoT Professional Services?